The O’Malley Suite, our largest room located on the second floor can accommodate up to 3 guests. 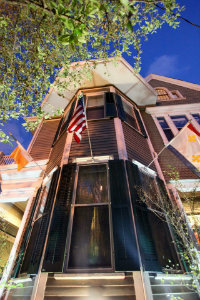 It features a King Size bed with custom linens, high thread count sheets, writing desk, flat screen TV/DVD, ceiling fan, original coal burning fire place, guest robes, iron and ironing board, clock radio and high speed wireless internet. 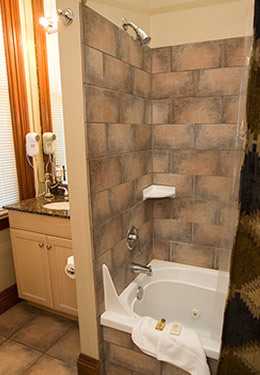 This room features a Private bathroom with granite counter tops, whirlpool tub/shower combo and hair dryer. The O’Malley Suite also features our new Inn Concierge iPad app, which can be used by the guest to get more information about the B&B and the Big Easy, all from the comfort of your comfortable king sized bed!